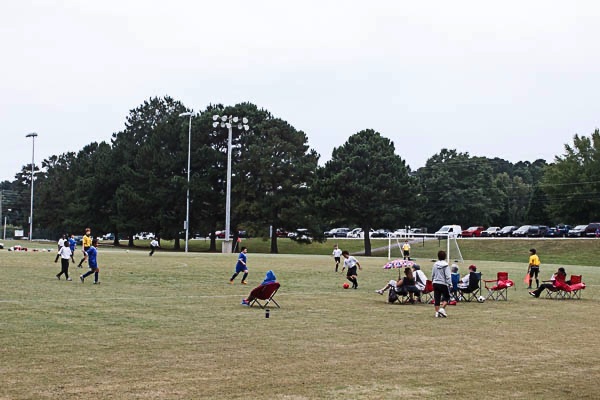 The Fayette County Youth Soccer League provides youth soccer for the Fayette County Parks & Recreation Department. We are also affiliated with Georgia Soccer, the parent body for soccer in Georgia. Our teams practice at McCurry Park in Fayetteville. For the younger teams, all games are also at McCurry Park. For the older teams, home games are at McCurry, but away games may involve travel to neighboring areas. We play two seasons each year - a spring season which goes from February to May and a fall season from August to November. Registration for each season opens about two months before the season begins. Players can be registered on-line, at an in person walk up or by mail. Click here for complete registration details. Click here for a chart which you can use to figure out the age group in which the player will fall.